Award-winning chef Bradley Ogden presents his first cookbook in over a decade. 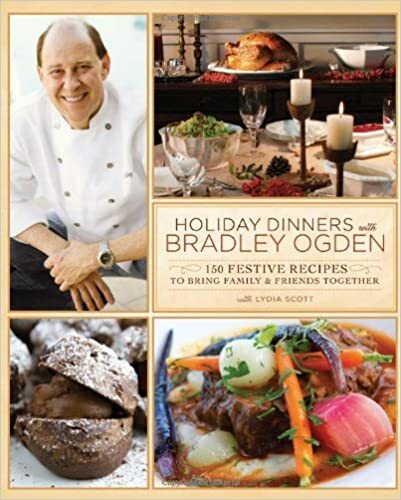 Holiday Dinners with Bradley Ogden includes 150 cherished recipes for a range of winter holidays—Thanksgiving, Christmas, and New Year’s—in one easy-to-use and delicious guide for making the most memorable meals for the most special occasions. With preparation schedules, sample menus, and instructive sidebars, Chef Ogden takes the guesswork out of holiday preparation so that you can spend more time with the family and less time in the kitchen.